Victoria’s ‘Golden Triangle’ has produced over 70 million ounces of gold to date, and it seems it’s not finished its gold run yet. 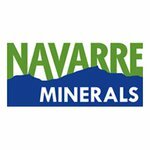 Navarre Minerals (ASX:NML) has two projects in the Triangle; it’s early stage Irvine Gold Project and it’s more developed Tandarra Gold Project. And they could both be a major part of a new goldfield emerging in central Victoria. NML’s projects are drawing comparisons to Kirkland Lake Gold’s (TSE:KL) 4 million ounce Fosterville Project — Victoria’s largest and highest-grade gold mine, which contains more than $1 billion in gold. It’s entirely possible that NML is now on the verge of entering its own golden era, and making its own multi-million ounce discoveries. The $10 million-capped NML has kicked off next phase of drilling at its Irvine Project. By the time it’s completed in eight weeks, the ASX gold junior will have covered 7000 meters across six targets, with results to start coming in as soon as November. This marks an exciting moment for the company, as the results from previous drilling at the Irvine project in early 2017 strongly indicated that it could have a multi-million ounce deposit. NML is also set to conduct diamond drilling at the Tandarra Gold Project during the December quarter. Investors need only look at Kirkland’s recent success at Fosterville to get a glimpse of the region’s yet untapped potential, and to realise that NML could well be in the right place at the right time, surrounded by golden opportunities. Navarre: Is It The Best Entry to Victoria’s New Gold Boom? The $10 million-capped gold play has kicked off the next phase of drilling at the Irvine Project with a 7,000 metre drilling program across six targets, with results to start coming in as soon as November. Could NML drive Victoria’s new billion-dollar gold rush?